Proposal for unsuccessful patent applicants to pay higher fees? For example, in his paper, "Loser Pays" in Patent Examination, Neel U. Sukhatme argues that we should create incentives for patent applicants themselves to improve the quality of their applications by forcing unsuccessful patent applicants to pay higher application fees, thereby subsidizing successful applicants. By importing the "loser pays" concept from litigation, Sukhatme argues, we can create "an efficiency-enhancing chilling effect that disincentives weak applications and improves application quality." Sukhatme's project nicely compliments R. Polk Wagner's analysis several years ago in Understanding Patent-Quality Mechanisms. In Wagner's view circa 2009, bad incentives on the part of applicants (as well as PTO examiners) was a root cause of the problem of low patent quality. Low patent quality, Wagner wrote, "is supported by a series of powerful incentives, including incentives that encourage patentees to draft patent applications that effectively obscure the true scope of the invention and its relationship to the prior art." Sukhatme's suggestion to require applicants to pay for their drafting failures follows Wagner's advice for improving patent quality: ensure that patentees have "strong, unequivocal incentives to seek patents that clearly meet the standards of patentability, that are explained in the context of the prior art, and that draw clear and unambiguous lines around their subject matter[.]" So maybe we're making Progress. This "discouragement" would only make sense if a large fraction of patent applicants were deliberately obfuscating their claim drafting. Experimental autoimmune encephalomyelitis (EAE) was induced in C57Bl/6 mice, and animals were also treated with the glucosamine derivative fluorosamine that reduces CSPG production from cells in culture. Treatment of mice with fluorosamine alleviated EAE clinical severity correspondent with decreased versican transcripts in the spinal cord. In active lesions of EAE as well as MS characterized by inflammatory perivascular cuffs, versican was detected on cellular and non-cellular profiles in the perivascular space. The word "fluorosamine" appears in US Patent 4,621,059 : In this case, when luminol is used as the luminescent substance, iron ion is used for accelerating the luminescence. When the DNPO or TCPO is used as the luminescent substance, porphyrin, fluorosamine or dansyl compound may be used. Justice Holmes rendered his opinion based on this factual inaccuracy and, according to Mr. Cohen, his own prejudices about race and class as a Boston Brahmin of the turn of the 20th Century. While the Justice had more than adequate help in coming to the wrong conclusion, ultimately Mr. Cohen shows that the combination of predilection and factual error informed one of the cruelest aphorisms in American jurisprudence (which remains good law today). It is easy for this example to come to mind when reading the questions and assertions from current Associate Justice Stephen Breyer, author of the Court's unanimous decision in Mayo v. Prometheus, regarding his understanding and concerns with the patent system and its discontents. Benjamin Curtis. Although Taney applied a "what was the status (of African Americans) at the time of the signing of the Constitution" to infer "not citizens then or now", Curtis pointed out, as a factual matter, this simply was not true. "When invention is rife and rights so precarious as they now are under the administration of the patent office, every person ought to have some sure and reliable information in relation to his legal rights before he ventures upon application." n2 "There is scarcely any subject out of which grows more law-suits than that of patents. Every one therefore interested should know what to avoid and what to do." n3 Although words of contemporary wisdom, this advice was actually given about 150 years ago. The problem remains: where to get sure and reliable information? endnote 2: From The United States Democratic review, Volume 29, Issue 158, page 192 (August 1851) reviewing Inventor's Manual: or Legal Principles, and Guide to the Patent Office by George Ticknor Curtis, brother of Benjamin Curtis, U.S. Supreme Court Justice who authored the opinion in Winans v. Deomead, which crystallized the "doctrine of equivalents." inapplicable to venue for patent cases. not applicable to patent cases, and § 1400 is.” Reply 9. 21 F.3d at 1565; see also Acorda Therapeutics Inc. v.
in Delaware, the forum state). Such is the case here. The court denied the appeal, reaffirming a 1990 ruling that allows a company doing business nationally in America to be sued in any US district court. This, in turn, means that plaintiffs can hand-pick the courts they use to bring forward patent infringement suits – and they usually pick the courts that back those alleging infringement. The case has been closely followed by technology companies due to the precedent TC Heartland would have set had its appeal been successful. 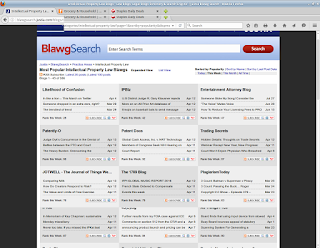 Intellectual property law reformers hoped that a ruling in Heartland's favor would restrict the practice of "patent trolling" by preventing IP-holding firms from using plaintiff-friendly courts (such as the Eastern Texas District Court) to file infringement claims in hopes of winning a decision or striking a settlement. remained good law after the 2011 Congressional amendments. Lauren Cohen et al. go after "patent trolls" ]. The last decade has seen a sharp rise in patent litigation in the United States; 2015 has one of the highest patent lawsuit counts on record (1). In theory, this could reflect growth in commercialization of technology and innovation—lawsuits increase as more firms turn to intellectual property (IP) protection to safeguard their competitive advantages. However, the majority of recent patent litigation is driven by nonpracticing entities (NPEs), firms that generate no products but amass patent portfolios for the sake of “enforcing” IP rights (2). We discuss new, large-sample evidence adding to a growing literature (3–7) that suggests that NPEs—in particular, large patent aggregators—on average, act as “patent trolls,” suing cash-rich firms seemingly irrespective of actual patent infringement. This has a negative impact on innovation activity at targeted firms. These results suggest a need to change U.S. IP policy, particularly to screen out trolling early in the litigation process. The site phys.org previews the paper by Cohen (with Umit Gurun and Scott Duke Kominers ) about to appear in the journal Science. 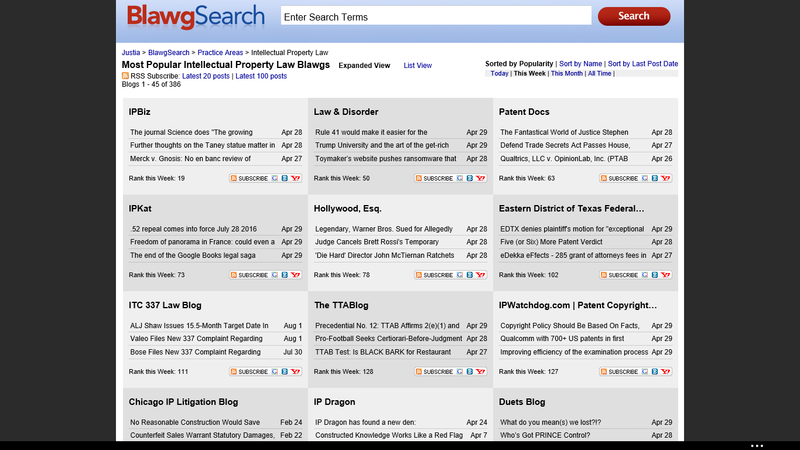 See New study exposes growing problem of patent aggregators and negative impact on innovation . H.R. 9, the "Innovation Act," which is currently on the docket, provides for mandatory fee-shifting for patent lawsuits that the courts determine are not "reasonably justified." In reality, however, the average costs of patent litigation are large ($1 million to $4 million) and the process is drawn out. Even with the prospect of post-trial fee shifting, patent litigation targets may thus find it cost-effective and less disruptive to simply settle with NPEs, even in unfounded lawsuits. According to the authors, this is not a sufficient solution. The text skips over the fact that the burden is on the loser to show the case was "reasonably justified." The text of the bill requires courts to award prevailing parties reasonable fees and other expenses incurred in connection with such actions, unless: (1) the position and conduct of the nonprevailing party was reasonably justified in law and fact; or (2) special circumstances, such as severe economic hardship to a named inventor, make an award unjust. This reversal of burden over the present law is the source of much opposition to the Innovation Act. So what should be done? Cohen, Gurun, and Kominers say that policies should screen out trolling at or before the time of patent assertion. The authors recommend advance review procedures that would provide preliminary evaluation as to whether the plaintiff's infringement claims are reasonable and whether the asserted patents are of high quality. Such advance review could cripple trolling, they conclude; pre-litigation review can separate good NPEs (and, more generally, good patent lawsuits) from bad. Legitimate infringement claims will be encouraged, whereas trolling will be screened out. This would greatly benefit innovative companies and help them propel the U.S. economy to greater heights. There is a recommendation to "de-access" the statue of (former) Supreme Court Chief Justice Taney, who, among other things, authored the "Dred Scott" decision. One notes that seven justices concurred in that decision, with only two firmly opposing it, one of whom later resigned from the court (Benjamin Curtis). Wolcott, who succeeded Alexander Hamilton to become the second Secretary of the Treasury, was involved in the matter. Wolcott went to the Litchfield Law School, which produced three justices of the Supreme Court. Curtis, who graduated from Harvard Law, is considered the first Supreme Court justice to have graduated from a now-existent law school (as presently understood). Litchfield also produced two vice-presidents, Burr and Calhoun. Judge Newman's dissent in the denial of en banc review of Merck v. Gnosis is worth a look. Appellant Largan Precision, represented by Donald Dunner, lost its appeal at the CAFC, with the CAFC finding that no reasonable jury could have found induced infringement. Genius Electronics argued that there was no evidence of DIRECT infringement by Apple, and thus there could be no induced infringement. [See Epcon v. Bauer, 279 F.3d 1022]. Largan's evidence of direct infringement was circumstantial, and, here, insufficient to establish a prima facie case. Chance to reconsider use of COX-2 inhibitor rofecoxib? administration orally once a day to a human patient in need of such treatment 12.5 or 25 or 50 mg of 3-phenyl-4-(4-methylsulfonyl)phenyl)-2-(5H)-furanone. 2. A method according to claim 1 for the treatment of non-chronic headache, pain or swelling. 3. A method according to claim 1 for the treatment of osteoarthritis. 4. A method according to claim 1 for the treatment of rheumatoid arthritis. 5. A method according to claim 1 for the treatment of pain. 6. A method according to claim 1 for the treatment of fever. 7. A method according to claim 1 for the treatment of dysmenorrhea. 8. A method according to claim 1 for the treatment of Alzheimer's disease. This is a National phase U.S. application of PCT/US97/08041, filed May 13, 1997, which claims priority from U.S. Provisional Application 60/017,878, filed May 17, 1996 and British application GB 9612063.9, filed Jun. 10, 1996. This application is also a continuation of U.S. Ser. No. 08/851,756, filed May 6, 1997 now abandoned, which claims priority from U.S. Provisional application 60/017,878, filed May 17, 1996. Merck removed VIOXX from the market. As noted in IPBiz at the time [ http://ipbiz.blogspot.com/2004/10/merck-recalls-vioxx-on-sept-30-2004.html ], this was a voluntary recall by Merck. a year before Congress would approve placing his bust among those of the nation's previous Supreme Court chief justices. There is an interesting irony about referencing the Taney statue as a Confederate statue. The majority decision in Dred Scott (authored by Taney) held that neither Scott nor any other person of African descent—whether or not emancipated from slavery—could be "citizen of a state", and therefore was unable to bring suit in federal court on the ground of diversity. BUT, toward the end of the Civil War, when issues arose of how to count African American soldiers in prisoner exchanges, even the Confederates acknowledged that emancipated African-Americans had to be treated as prisoners, rather than as property (in contrast to Taney's viewpoint). Although some commentators have mistakenly referenced Taney as a Confederate (he was on the US Supreme Court during the Civil War, and was not part of the Confederacy), Taney's view was more extreme than taken by the Confederacy in the prisoner exchange matter. The vote in Dred Scott was basically 7-2, with Benjamin Curtis not only dissenting but also resigning from the Court shortly thereafter. Curtis was the only Whig appointee to the Supreme Court, and was the first law school graduate (Harvard) to serve on the Supreme Court. Curtis authored the classic decision on patent law's "doctrine of equivalents" (Winans v. Denmead,56 U.S. 330 (1854); Taney was on the opposite side) and Curtis' brother was a patent lawyer. India’s Swiss Pharma International has filed a petition for inter partes review of one of Tysabri’s patents--and another two petitions are on the way, Leerink Partners analyst Geoffrey Porges wrote in a note to clients on Monday. The move could potentially put sales of the drug, which tallied $1.89 billion in 2015, in jeopardy, he noted. Although Novantrone was approved by the FDA for secondary progressive multiple sclerosis, because of the significant risks associated with Novantrone, it is rarely used at this time. The subject invention provides a method of treating a subject afflicted with a form of multiple sclerosis comprising periodically administering to the subject an amount of glatiramer acetate and an amount of mitoxantrone, wherein the amounts when taken together are effective to alleviate a symptom of the form of multiple sclerosis in the subject so as to thereby treat the subject. The subject invention also provides a package comprising glatiramer acetate, mitoxantrone and instructions for use of the together to alleviate a symptom of a form of multiple sclerosis in a subject. Additionally, the subject invention provides a pharmaceutical composition comprising an amount of glatiramer acetate and an amount of mitoxantrone, wherein the amounts when taken together are effective to alleviate a symptom of a form of multiple sclerosis in a subject. The subject invention further provides a pharmaceutical combination comprising separate dosage forms of an amount of glatiramer acetate and an amount of mitoxantrone, which combination is useful to alleviate a symptom of a form of multiple sclerosis in a subject. Multiple sclerosis (MS) is a chronic, neurological, autoimmune, demyelinating disease. MS can cause blurred vision, unilateral vision loss (optic neuritis), loss of balance, poor coordination, slurred speech, tremors, numbness, extreme fatigue, changes in intellectual function (such as memory and concentration), muscular weakness, paresthesias, and blindness. Many subjects develop chronic progressive disabilities, but long periods of clinical stability may interrupt periods of deterioration. Neurological deficits may be permanent or evanescent. In the United States there are about 250,000 to 400,000 persons with MS, and every week about 200 new cases are diagnosed. Worldwide, MS may affect 2.5 million individuals. Because it is not contagious, which would require U.S. physicians to report new cases, and because symptoms can be difficult to detect, the incidence of disease is only estimated and the actual number of persons with MS could be much higher. The pathology of MS is characterized by an abnormal immune response directed against the central nervous system. In particular, T-lymphocytes are activated against the myelin sheath of the neurons of the central nervous system causing demyelination. In the demyelination process, myelin is destroyed and replaced by scars of hardened "sclerotic" tissue which is known as plaque. These lesions appear in scattered locations throughout the brain, optic nerve, and spinal cord. Demyelination interferes with conduction of nerve impulses, which produces the symptoms of multiple sclerosis. Most subjects recover clinically from individual bouts of demyelination, producing the classic remitting and exacerbating course of the most common form of the disease known as relapsing-remitting multiple sclerosis. MS develops in genetically predisposed individuals and is most likely triggered by environmental agents such as viruses (Martin et al., Ann. Rev. Immunol. 10:153-187, 1992). According to current hypotheses, activated autoreactive CD4+ T helper cells (Th1 cells) which preferentially secrete interferon-gamma (IFN-.gamma.) and tumor necrosis factors alpha/beta (TNF-.alpha./.beta. ), induce inflammation and demyelination in MS (Martin et al., supra). Available data suggest that the predisposition to mount a Th1-like response to a number of different antigens is an important aspect of MS disease pathogenesis. Proinflammatory cytokines (such as IFN-.gamma., TNF-.alpha./.beta.) and chemokines secreted by Th1 cells contribute to many aspects of lesion development including opening of the blood-brain-barrier, recruitment of other inflammatory cells, activation of resident glia (micro- and astroglia) and the effector phase of myelin damage via nitrogen and oxygen radicals secreted by activated macrophages (Wekerle et al., Trends Neuro Sci. 9:271-277, 1986) (Martin et al., supra). Secondary-progressive multiple sclerosis is a clinical course of MS that initially is relapsing-remitting, and then becomes progressive at a variable rate, possibly with an occasional relapse and minor remission. 1. A method of treating a human subject suffering from relapsing remitting multiple sclerosis, comprising administering daclizumab monthly to the subject in a unit dose ranging from about 150 mg to about 400 mg, wherein the subject is not concurrently treated with interferon-.beta..
2. The method of claim 1, wherein the daclizumab is administered for a year. 3. The method of claim 1, wherein the daclizumab is administered indefinitely. 4. The method of claim 1, wherein the daclizumab is formulated as a solution containing from 1 wt % to 15 wt % or 20 wt % daclizumab. 5. The method of claim 1, wherein the daclizumab is administered is administered as monotherapy. 6. The method of claim 1, wherein the daclizumab is administered in an amount effective to reduce the rate of increase of the subject's disability score. The CAFC affirmed a 101 decision of PTAB in the case of U.S. Patent Application No. FANDANGO, LLC was vacated because of Akamai IV. In what circumstances can a colour be registered as a trade mark? In this appeal the answer turns on two of the legislative requirements, as judicially interpreted: a trade mark must be (i) "a sign" and (ii) "graphically represented." Applications and registrations of the less conventional kind of subject matter, such as colour, are potentially problematical, especially if they cover a multitude of different visual forms. The point was whether Libertel, a telecommunications company, could register the colour orange as a trade mark for telecommunications goods and services. It was held that a colour not spatially defined is capable of being registered as a trade mark, provided that it satisfies the three conditions of (i) being a sign, (ii) being capable of graphical representation, and (iii) being capable of distinguishing the goods or services of one undertaking from another. The judge concluded at  that single colours are capable of being signs, of being represented graphically and of distinguishing; and that the description of the mark in this case was capable of being a sign within Article 2. He said that the case was covered by Libertel. The wording in the description of the Cadbury's mark had to be considered. It did not have the effect of making the case different from the single colour mark considered in that case. Plagiarism scandal at Daily News attributed to editing, but, in the end, judgment based on results, not intentions? In a post published Thursday on Medium, Jotham Sederstrom explained why he removed attribution from columns written by the activist Shaun King. According to Sederstrom, those edits -- which Daily News editor-in-chief Jim Rich called "egregious and inexplicable" -- were the result of a faulty publishing system and fatigue. "In all honesty, the controversy -- a f*** up on my part, to put it bluntly -- comes down to two unintentional, albeit inexcusable, instances of sloppy editing on my part and a formatting glitch that until Tuesday I had no idea was systematically stripping out large blocks of indented quotations each time I moved Shaun's copy from an email to The News' own Content Management System, or 'CMS' as it's called in media parlance," Sederstrom wrote. "In those two cases where no citation or hyperlink appeared in the column, I believe I likely cut attribution from the top of Shaun's quoted text with the intention of pasting them back inside the block -- only to get distracted with another of the many responsibilities I juggled as an editor," he added. It remains to be seen whether ocrelizumab beats out rituximab at slowing disease activity in MS, although this is a trial that isn't likely to be done given that Roche/Genentech manufacture both products. The companies are no strangers to having two competing drugs for a single condition, with one offered at a significantly cheaper price. Roche/Genentech manufacture both bevacizumab (Avastin) and ranibizumab (Lucentis) for a host of ophthalmic conditions, and physicians have long preferred the less costly bevacizumab, especially after studies largely showed equal efficacy and safety profiles between the two. Whether such a situation will arise with rituximab-ocrelizumab remains speculative, but biosimilars for rituximab are expected to be introduced eventually, at which point market pressures may force Roche/Genentech to drop the price for rituximab. from a report by Anthony Traboulsee of the University of British Columbia in Vancouver, reported at the American Academy of Neurology meeting in Vancouver in April 2016. Roger B. Taney monument in Mount Vernon Place, Baltimore to be "de-accessed"
See the post Ta-ta to two of Baltimore’s Confederate monuments? Is this a first for a former Supreme Court Chief Justice? (Fed. Cir. 2015) (citing Teva Pharm. U.S.A., Inc. v.
reasonable construction in light of the specification. (internal quotation marks and citations omitted)). in view of the correct claim constructions. represented by illustrations than a written claim construction. design as a whole.” Id. at 680.
by” its function. Id. at 668.
of the court’s construction that took the fins into account. We followed a similar line of analysis in Richardson. factors we announced in PHG Technologies, LLC v.
patent claims.” Ethicon Endo-Surgery, 796 F.3d at 1334.
of a design, not an aggregation of separable elements. circuit, here the Ninth Circuit. Proveris Sci. Corp. v.
Innovasystems, Inc., 536 F.3d 1256, 1267 (Fed. Cir. 2008). Corp., 134 F.3d 1418, 1420 (9th Cir. 1998). Although a bit more expensive than AbbVie on a PEG ratio basis, Roche's rock solid product line is on more stable ground. That said, I feel it's about to launch upwards when and if Ocrevus, formerly ocrelizumab, reshapes the multiple sclerosis space. Another first-in-class candidate, Roche will be presenting phase 3 Ocrevus data at the American Academy of Neurology April 17 through 21, that Biogen investors will want to watch. It's early, but it seems Ocrevus may have Biogen's blockbuster multiple sclerosis treatment Tecfidera beat in terms of both safety and efficacy. If approved, sales could move the needle significantly for the Swiss pharma giant. Charles Osgood introduced the stories for April 17, 2016. The cover story is by Barry Petersen on the country of Bhutan, where love and compassion are values and the goal is "gross national happiness." Second, Tracy Smith on Bonnie Raitt. Third, Lee Cowan on Kathy Bates. Fourth Anna Werner on Quidditch. Conor Knighton on Key Biscayne Park. Headlines. 7.8 magnitude earthquake in Ecuador. Japanese earthquakes. The Pope visits Lesbos, Greece. Of the Bhutan story, the top tourist attraction is Tigers Nest. The goal of Bhutan is obtaining a balance of economic and emotional well-being. The male dress of Bhutan is the gho. Picture of golden langer monkeys. Almanac. April 17, 1937. Daffy Duck appears for the first time in "Porky's Duck Hunt." 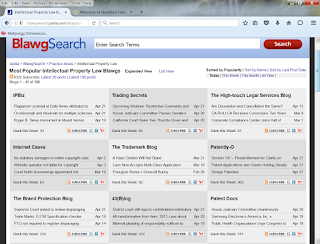 National Law Review giving bad patent drafting advice? The claimed invention should be sufficiently described in the application to teach a layman how to reproduce that invention. On June 2, 2014, the U.S. Supreme Court held in Nautilus v. Biosig that “a patent is invalid for indefiniteness if its claims, read in light of the specification delineating the patent, and the prosecution history, fail to inform, with reasonable certainty, those skilled in the art about the scope of the invention.” The Court also indicated that “a patent must be precise enough to afford clear notice of what is claimed, thereby ‘appris[ing] the public of what is still open to them.’” This is the evenhanded result because a patent provides a patentee with monopoly over a claimed territory; this monopoly is a property right; and “like any property right, its boundaries should be clear” (quoting Festo Corp. v. Shoketsu Kinzoku Kogyo Kabushiki Co.). First, given that a layman is a person who is not a member of a particular profession, one observes that a layman is NOT one of ordinary skill in the art (the particular profession). The use of the word "layman" is simply wrong. Second, Indefiniteness is not about "reproducing" the invention. Very careless and erroneous work at the National Law Review. The patent application, titled Stable Laquinimod Preparations, is for a pharmaceutical composition comprising laquinimod or a pharmaceutically acceptable salt of it and meglumine and a pharmaceutically acceptable carrier. The company claims that it has unexpectedly found that this pharmaceutical composition provides a superior stabilisation effect. It has also amended some of the claims to include the ratio range of the ingredients used in the composition, in order to address the objections raised by the examiner of Patent Office. srael-based Teva Pharmaceuticals has received patent approval for a product related to multiple sclerosis drug Laquinimod. According to reports, Laquinimod is developed by Teva Pharma in collaboration with Active Biotech AB, a Swedish biotechnology company which has focus on neurodegenerative/ inflammatory diseases and cancer. 14. A process for the manufacture of a sealed package comprising a pharmaceutical composition of N-ethyl-N-phenyl-1,2,-dihydro-4-hydroxy-5-chloro-1-methyl-2-oxoquinoline-- 3-carboxamide or a pharmaceutically acceptable salt thereof comprising obtaining the pharmaceutical composition and packaging said pharmaceutical composition in a container under conditions containing less oxygen than standard atmospheric conditions. The capsules were made using the following steps:  1. Mannitol and 99% of the total desired anhydrous sodium carbonate were placed into a high shear granulating mixer and were mixed for 30 seconds. 2. A solution of laquinimod sodium, 1% of the total desired anhydrous sodium carbonate and purified water was prepared in a mixer until dissolved. 3. The solution from step 2 was added to the contents of the high shear granulating mixer of step 1 and was mixed to form a suitable granulate. 4. The granulate was dried in a fluid bed dryer with the inlet air temperature of 50.degree. C. and outlet air temperature of 40.degree. C.  5. The dry granulate was milled using a 0.8 mm screen, and blended with sodium stearyl fumarate. 6. The mixture from step 5 was filled into size 1 hard gelatin capsules (0.5 mL volume) for the 0.6 mg laquinimod acid dose and into size 3 hard gelatin capsules (0.3 mL volume) for the 0.3 mg of laquinimod acid dose. This is related to issued US patent 8,545,885 . See the ReviewJournal post titled Appeals court rules against ex-UNLV student in plagiarism case. In 42 U.S.C. §1983 actions, qualified immunity protects a government official sued in his personal capacity from civil liability when performing discretionary acts, so long as those acts do not violate clearly established statutory or constitutional rights of which a reasonable person would have known. Harlow v. Fitzgerald, 457 U.S. 800, 817-18, 102 S. Ct. 2727, 73 L. Ed. 2d 396 (1982). The NY Times has an interesting piece titled Lifting the Patent Barrier to New Drugs and Energy Sources. The Obama administration, spurred by the drug industry, insisted that patent protections should be tightened further around the world. But several other countries argued that they raised excessive barriers for poor countries, costing lives. one notes that patent protection is national, not worldwide. Thus, if an inventor has not filed in country X, but in country y, somebody in country X can practice in country X the invention filed in country y. There may be an incentive to protect an invention in country y (lots of money to be made) but not in country x. But the information about the invention is publicly available. As to TRIPS, it defines the scope of available patent protection that member states must provide [e.g., Patents must be granted for "inventions" in all "fields of technology" provided they meet all other patentability requirements (although exceptions for certain public interests are allowed (Art. 27.2 and 27.3) and must be enforceable for at least 20 years (Art 33). ] BUT the inventor still must file in the relevant countries. 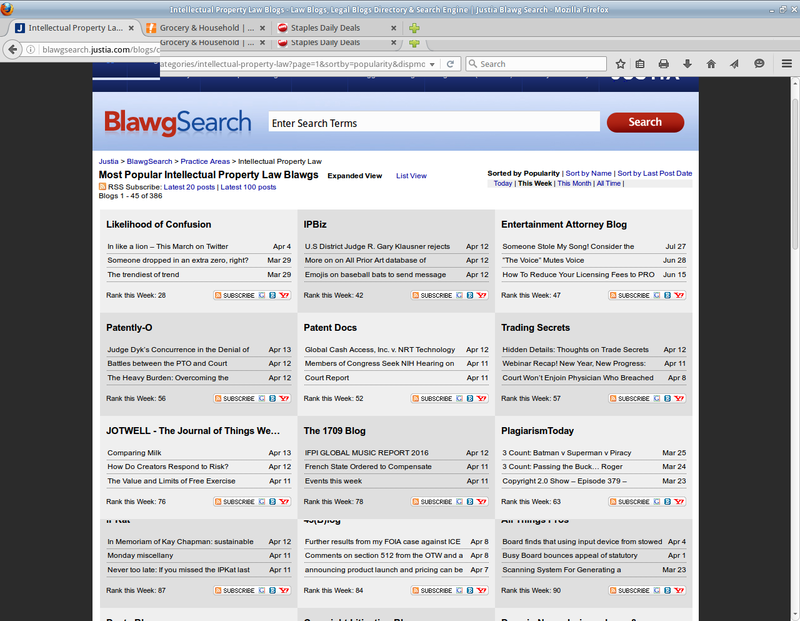 IPBiz is reminded of the Dastar case. Further to an earlier IPBiz post Supreme patent silliness reported by Jamie Condliffe at Gizmodo: a (randomized) prior art generator , Laura Sydell at NPR has a post on All Prior Art of Alexander Reben. If someone tries to patent an invention and the idea has already been published, the U.S. Patent and Trademark Office won't grant them a patent. Reben's project is trying to cut down on the number of frivolous patents by publishing lots and lots of ideas, and he thinks his database could be used by patent examiners to challenge frivolous patents. An explanation on Reben's site says the system works "by pulling text from the entire database of U.S.-issued and published (unapproved) patents and creating prior art from the patent language. While most inventions generated will be nonsensical, the cost to create and publish millions of ideas is nearly zero — which allows for a higher probability of possible valid prior art." Reben says his program generates about 36,000 new ideas a minute. But, it's a bit more than pure random words. It is doubtful that Reben's approach will be a source of prior art useful to the patent office. As a first point, Reben's "art" is better characterized as "combinations of old ideas" rather than a source of "new ideas." [e.g., MPEP 2143.01 ]. It is unlikely that the USPTO will find much motivation for one of ordinary skill in a database which randomly combined fragments of known art. Does the artificial act of randomly combining into "one document" overcome this? Likely not. 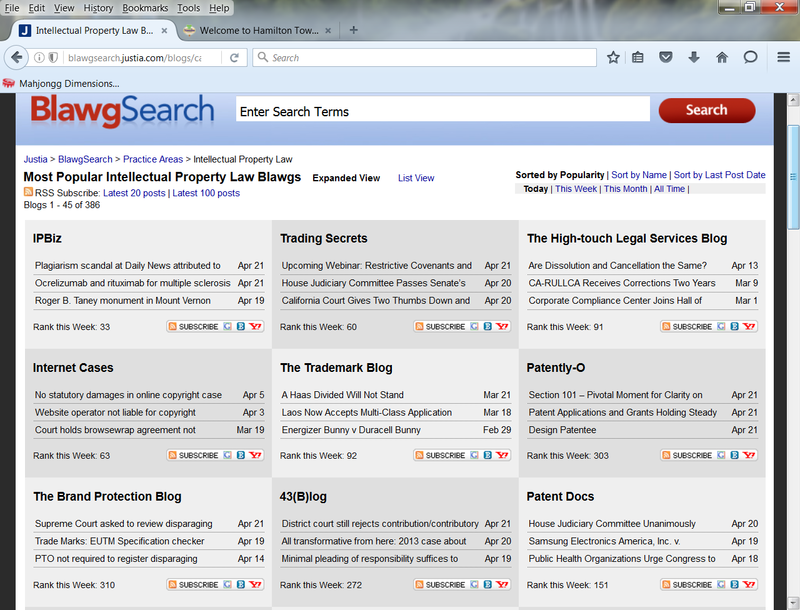 "High-quality patents enable certainty and clarity of rights, which fuels innovation and reduces needless litigation. To ensure we continue issuing high-quality patents well into the future, we established the Enhanced Patent Quality Initiative (EPQI). We are strengthening work products, processes, services, and how we measure patent quality at all stages of the patent process. "In terms of wider access to prior art, the USPTO has a Third-Party Preissuance Submission program which provides a mechanism for third parties to submit patents, published patent applications, or other printed publications of potential relevance to the examination of a patent application with a concise description of the asserted relevance of each document submitted." For those of you who aren't hip with Millennials, it carries two meanings in this case. The obvious is that it's the number 100 and Harper's next career home run will be No. 100. The less obvious, at least for those not up on their emojis, is that the symbol in question means "keep it 100." That phrase means "to keep yourself real and true, to be honest and stick to the way you are, no matter what any one else thinks," according to Urban Dictionary. Major League Baseball implemented new rules just prior to the start of the season stating that bat decals could only contain a team logo or the player's number. This appears to be in violation of that rule. From an article about trademarking "Model E"
In an article submitted to the Straits Times last month, she [Dr. Lee Wei Ling, daughter of Yew] had said Lee Kuan Yew would have "cringed at the hero worship just one year after his death". The newspaper did not publish the article and she posted it online. Straits Times Editor Warren Fernandez said the newspaper's editors were working with her to get it ready for print. "But some concerns arose, including over the plagiarized paragraphs. In addition, we found her ultimatum to either print her piece unedited or she would go online, totally unacceptable." http://patentlyo.com/patent/2015/11/professor-nuanced-arguments.html ]. In the Yew matter, rather than accept editing, Ling published on Facebook. ** Of the Facebook publication, it did vanish. IPBiz has referred to such deletion as a "Sikahema" in reference to Vai Sikahema's outburst "Rutgers is Wrong" which quickly vanished from the internet. Sikahema was right about Rutgers, but wrong about the general idea that only the Ohio State's of the world can be football powers. At Gizmodo, Jamie Condliffe reports in the post This Website Is Using Math to Create Every Possible Patent on work by Alexander Reben. The system works by pulling text from the entire database of US issued and published (un-approved) patents and creating prior art from the patent language. Yeah, he’s very right. Nothing in his database will prevent a patent from being issued. It wouldn’t have before, but now that we’ve moved to first-to-file, it definitely won’t. It might be usable to invalidate a patent if you can get the judge not to laugh you out of court when you explain you’re using random data as your evidence, but you won’t be able to afford to get to that point in the process anyway. Of the above comment, IPBiz notes that true "prior art" can be used by an examiner to reject claims from an application prior to issue. Of course, whether or not sliced/diced fragments from earlier patents/applications, randomly combined, would be recognized as prior art can be questioned. Reben's effort is a fool's errand. The lawsuits that Apple and HTC and Samsung and Nokia and everyone else with skin in the mobile game are throwing at each other, though? Those are dangerous. They're dangerous because Apple doesn't want cash; they've got more than the entire US government. Neither does anyone else, really. What they're all gunning for is market advantage. Which, in the most extreme case, means pulling the Galaxy Tab 10.1 off EU and Aussie shelves altogether. They're not playing Monopoly anymore. They're playing Highlander. I spoke with Venture Capitalist and author of the influential tech blog Above the Crowd Bill Gurley, who pointed out that "The [patent] Cold War aspect basically defines certain markets as 'out of bounds.' You can't do mobile OS now. CPU is likely tough. Video CODECs are a mess." Three crucial areas, cut off from from disruptive progress because of our system's failings. "market advantage" means "cash." Of the second paragraph, the presence of patent litigations (actual war) is not what the "cold war" was about (the threat of MAD foreclosed actual war). something similar for tech would be a nice middleground? just make a patent last 3 yrs (or so) and renewable to a max of 12yrs. every renewal with 3yrs would cost a lot of money. This would be an incentive to innovate and invent rather than keep legacy hardware/software around because it wouldn't be easy money anymore. As has already been mentioned, code is covered under copyright. The issue I have with that is where do you draw the line? If I want to print "Hello, world." there are only so many ways to do that, and theoretically already covered by somebody else's copyright. You'd have to define at what point a chunk of code becomes copyrightable (and have to follow some sort of "obviousness" test, as exists in patent law). One suggestion I think might alleviate a lot of the current problems: Implement a "use it or lose it" provision. Under the current rules, you can patent something and do nothing with it, thus locking up an invention for almost 20 years. It's this provision that provides full employment for patent trolls, and also results in these huge bidding wars for vast libraries of (largely unused) patents. If you were required to develop and market your invention within some set period of time (say, 3-5 years) or lose it, that would remove the incentive for a lot of this abuse and litigation. As Talia notes, there is precedent in trademark law (which, admittedly, I am not an expert on). You have to file periodic affidavits with the USPTO, showing that you have used your trademark in commerce, or your registration lapses. I don't think it would be too hard to implement a similar system for patents. "As for litigation, Gurley recommends moving to a system—similar to what the UK and France already have in place—where the losing party pays." 1. We're stuck with the current system, which is horribly unfavorable to defendants. 2. We will have a system that favors rich litigants at the expense of poor litigants. Imagine if you're random content creator, and you're told that your work violates some IP by MegaCorp. If you lose, not only do you have to pay up, *but you have to pay MegaCorp's massive legal fees. * And then you're told that the law is against you. Fun! 3. Imagine you're a company, say, that sounds like Brainal Adventures. Do you bring litigation as your company? Or do you assign the rights to the litigation to some shell company with few assets? On the off chance Shell Company, LLC, loses, then Brainal Adventures owes nothing (unless there's some piercing the veil, yeah, right). If you win, then the company you sue pays Shell Company, LLC legal fees to initiate more litigation, and you have precedent on your side. Of -- the current system, which is horribly unfavorable to defendants--, patentee-plaintiffs lose more than 50% of the time. From what groups do patent citations come from? Castor reported that the difference in terms of what technologies get cited more often than not comes from citations outside the class. So I think it’s clear that the classes are important; the next step is to understand exactly how much agency, and what can applicants do in order to ensure that their applications are going to be funneled into the classes that they want, and be seen by the proper examiners. The only thing I would add to that is that, I think one of the unique things about this work that we are doing is instead of looking at individual categories or individual classifications, which is the traditional approach in the academic literature, we are really highlighting the influence of the properties of the classification system. Anthony Mason was the host for the money issue on April 10. "A lot of people seemed to be getting very rich, very fast, and a lot of people wanted to join in on that," said Katrin Jakobsdottir. She is one of the members of Parliament who decided on Iceland's hardline response when this whole house of cards built on debt came tumbling down. Between 20 and 30 bankers have gotten jail sentences. Siguron Arnason, former CEO of Landsbanki, will begin serving a five-year prison sentence in the fall. "Everyone does the same thing: It's social media, it's photo sharing apps. Today it's sharing economy," Wadhwa said. "It's 'Me, too,' 'More of the same.'" "There are some opportunities that come up that you would regret turning down," Kramer said. "Workflow was definitely one of those." "It's kind of like making your own apps that save you time," Weinstein said. When Workflow launched, it was the number one bestseller on Apple's App Store -- and has since won several awards. They've just hired their newest employee, Tim Hsia, a graduate of Stanford's business and law schools and an Army vet. He's 33-years-old and says he doesn't mind taking orders from a teenage boss. There is a New Jersey connection to Workflow. From a 2014 post: (Kramer, 18, is from Cherry Hill, Weinstein is from Mt. Airy). ** Lee Cowan interviews Hugh Jackman on coffee. According to the paper, “Cognitive Neighborhoods and the Valuation of Innovation: A Cross-National Analysis,” if a patent’s assigned technology class is closely related to other classes, that patent will itself end up being more valuable. Tyler Wry: Something that is interesting to keep in mind when we are looking at patents and classification, and the valuation of intellectual property, is that there is an assumption that the number of citations that a patent gets in future innovation is a reflection of its value. And what Adam has done really nicely in this paper is show that it’s not just a reflection of the quality of the patent that is driving its valuation, but it really is where it gets slotted into the classification system. The original design for the 2020 Tokyo Olympics logo, presented by Kenjiro Sano, was withdrawn last summer after Belgian artist Olivier Debie claimed that it copied prior design for the Theatre de Liege. "All of these designs have all been cleared of copyright both domestically and abroad," Tokyo Emblem Committee Chairman Yohei Miyata told reporters. Osram lost an appeal at the CAFC, with merely a per curiam affirmation under Fed. Cir. R. 36. The Board did not construe the term “crystallographic plane surfaces” in the Decision to Institute, but requested a construction at final hearing. The Board agreed with Patent Owner that the language of claim 1 requires that “crystallographic plane surfaces” result from crystallographic etching, and thus construed “crystallographic plane surfaces” to mean “a smooth plane surface resulting from crystallographic etching.” Petitioner had alleged that the term means what was disclosed in the prior art references. claim 1 is representative of all of the invalidated claims. § 101 can proceed even before a formal claim construction. dispute relevant to the eligibility issue. detection of any type of genetic trait,” id. at col. 46 ll. 8–9. We thus proceed to step two of the Mayo/Alice analysis. marks omitted) (citing Mayo, 132 S. Ct. at 1294, 1298). 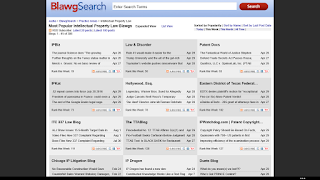 engaged in by researchers in the field.” Mayo, 132 S. Ct.
to render the claim patent-eligible. with a simple mental process step. into account when treating his patient.” Id. at 1297.
polymorphism within a coding region of an allele of interest. the sequence with wild-type BRCA1. Id. at 761–62.